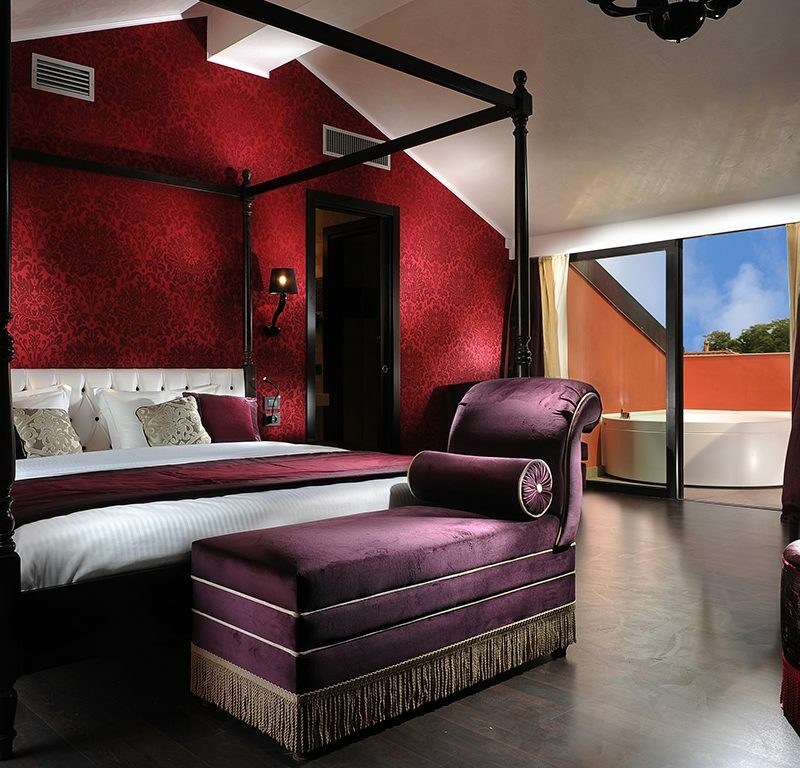 Allow yourself an exclusive level of romance in this fascinating 43mq space, sensuously designed with authentic Venetian charms in passionate red tones. 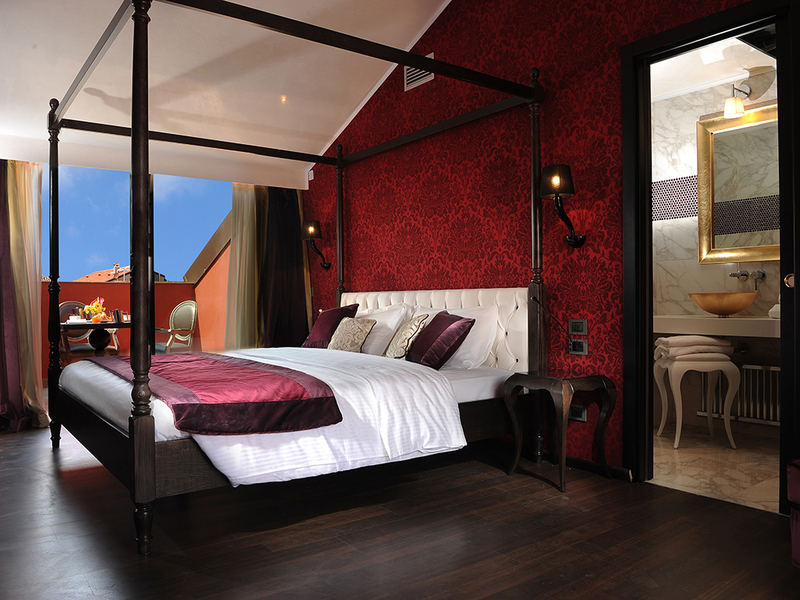 This unique Suite features a bedroom carefully appointed with a writing table, a bench, Murano glass lamps, an open closet and a magnificent four-poster queen-size bed. 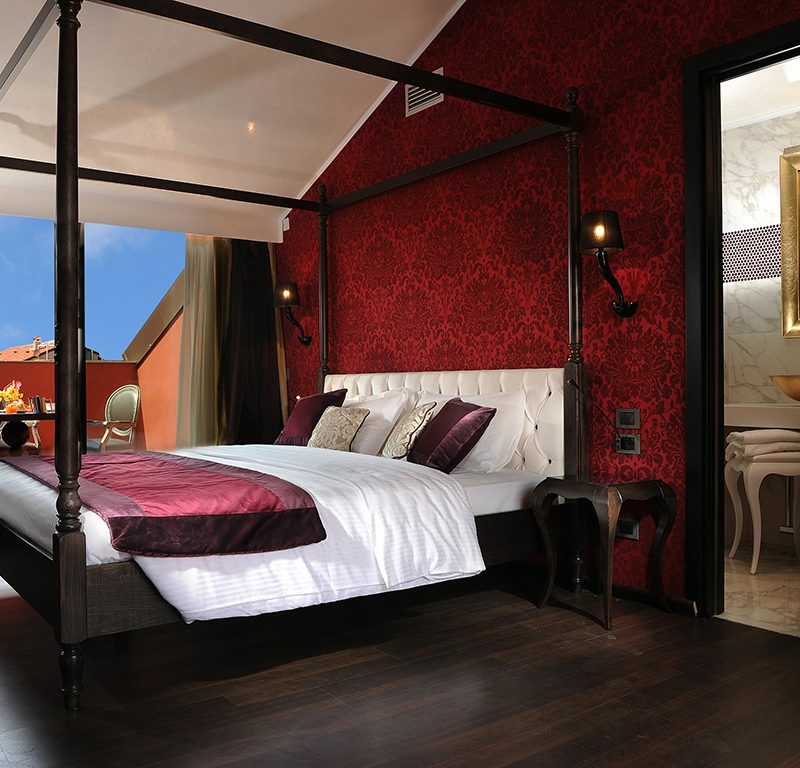 Performing 2 private terraces to soak the magical view of the city of Venice and our Secret Garden, it showcases a freestanding Jacuzzi on one of them to get immerse in a trully exceptional experience. 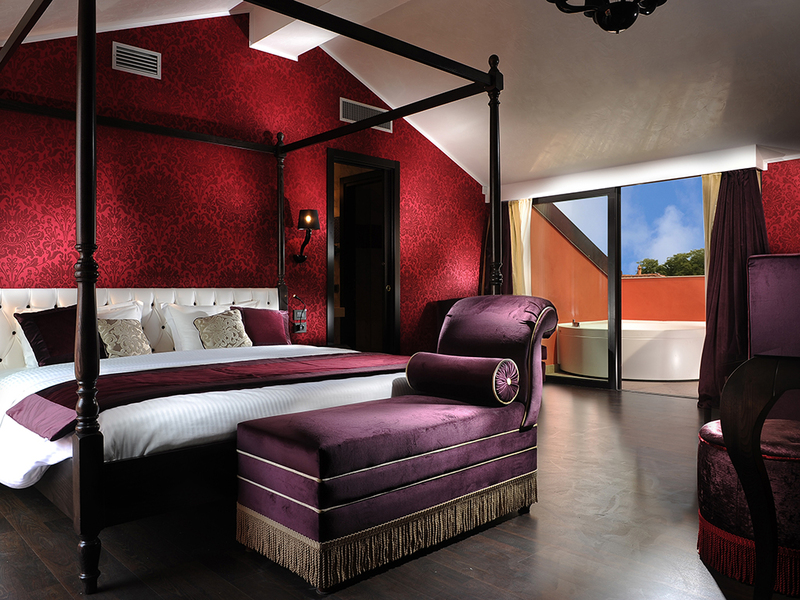 Featuring a chaise longue that transforms into a single bed, this room can host up to 3 Guests. The bathroom, in Carrara Marble offers a walk-in shower in Corian, Chromotherapy lights and a vanity with a glittery sink in gold leaf. Can accommodate up to 3 guests.